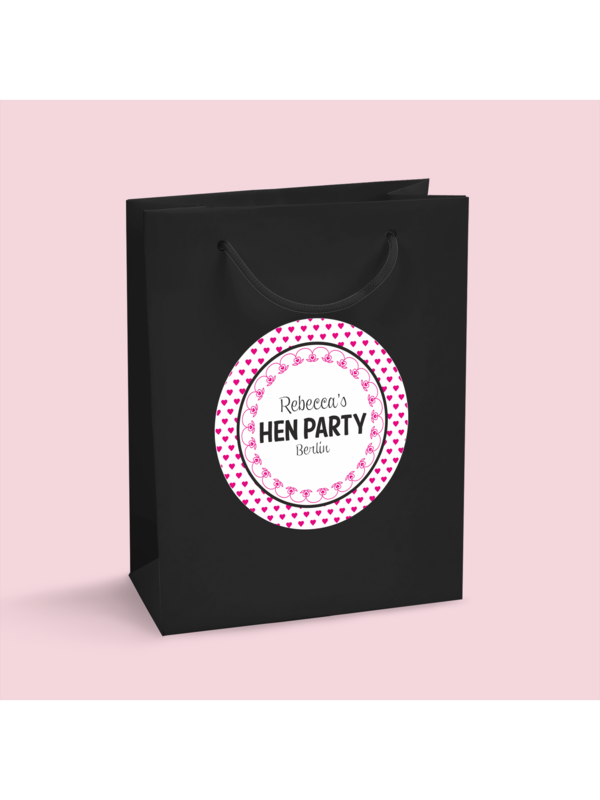 A gorgeous pretty hen party gift bag to offer to all your hens on your special occasion. Fill with our impressive selection of gift bag fillers too! Showing our 2 Hen Party Superstore Personalised Love Hearts Sticker With Hen Party Gift Bag reviews with an average rating of Excellent. Would you like to write a review? Great product. Quick delivery. And looks identical to the picture! Overall really happy with this site and have to say I would highly recommend to anyone planning a hen party. Whatever you are looking for you will find and whilst somethings might be pricey the quality is fab!